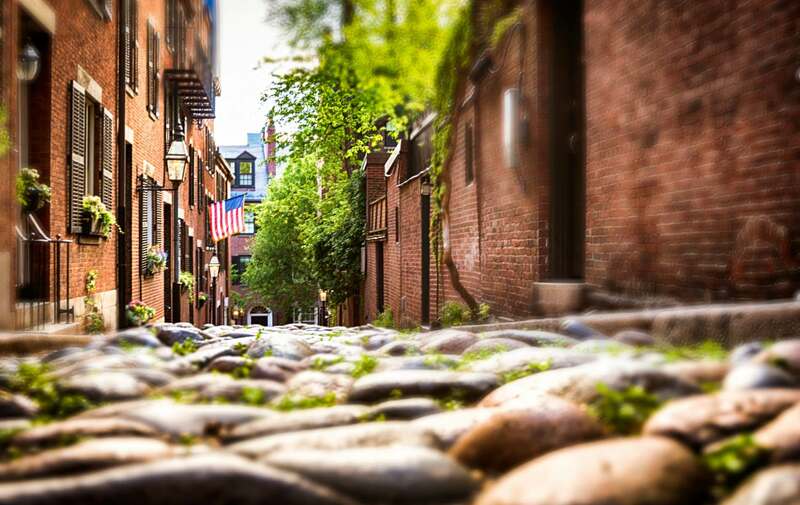 Boston has been made famous for its 18th and 19th century architecture, as many of the buildings hold a high importance to U.S history. These buildings have historic beauty, but there are also modern designs that add to the city’s architecture. The Trinity Church is an Episcopal church built in 1893 by Henry Hobson Richardson. This church was so unique to other architectural categories that it created an entire new one: “Richardson Romanesque”. With 21,500 square feet of murals and stained glass windows, it is no wonder that the American Institute of Architects named Trinity Church one of the “Ten Most Significant Buildings in the U.S.” It is the only church to be featured on this list, and the only building in Boston. 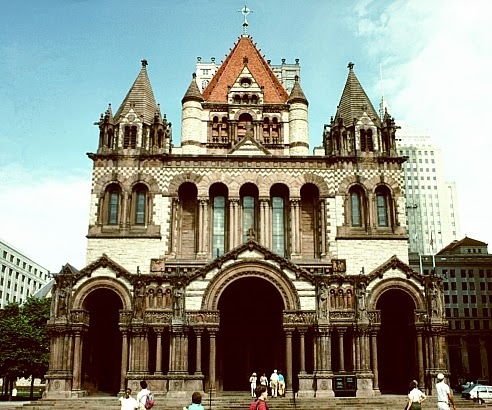 In 1885, architects from the American Institute of Architects created their first “Ten Most Significant Buildings in the U.S.” list, and voted Trinity Church as the most important building in the entire country. It is the only building from the original list in 1885 to be on the current top ten list! 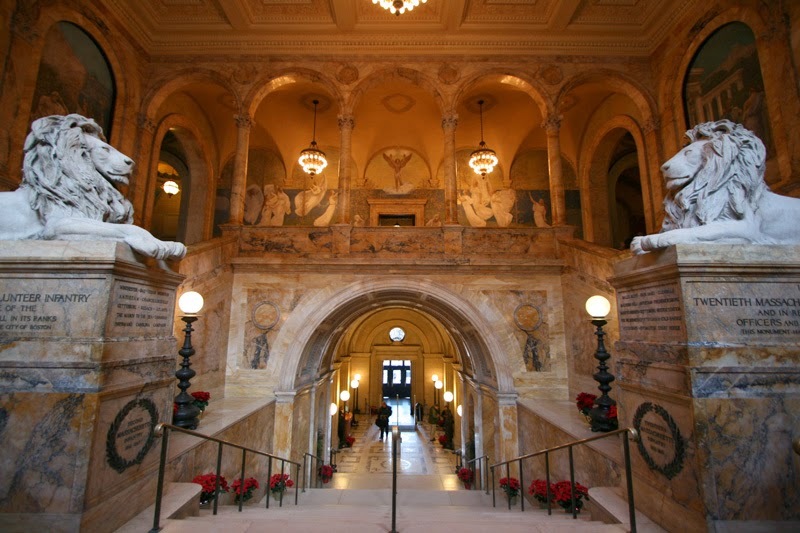 The Boston Public Library McKim Building holds the library’s research collection, exhibition rooms and administrative offices. When it was opened in 1885, it was called a “palace for the people”, and rightly so! The building contains opulent decorations, and a central courtyard surrounded by an arcaded gallery that mimics a Renaissance cloister. Charles Follen McKim designed the building’s facade facing Copley Square off of the Bibliothèque Sainte-Geneviève in Paris, and the arcaded windows off of Leon Battista Alberti’s Tempio Malatestiano in Rimini. Today, visitors can see the rare works that are held in the building, and admire the stunning design. 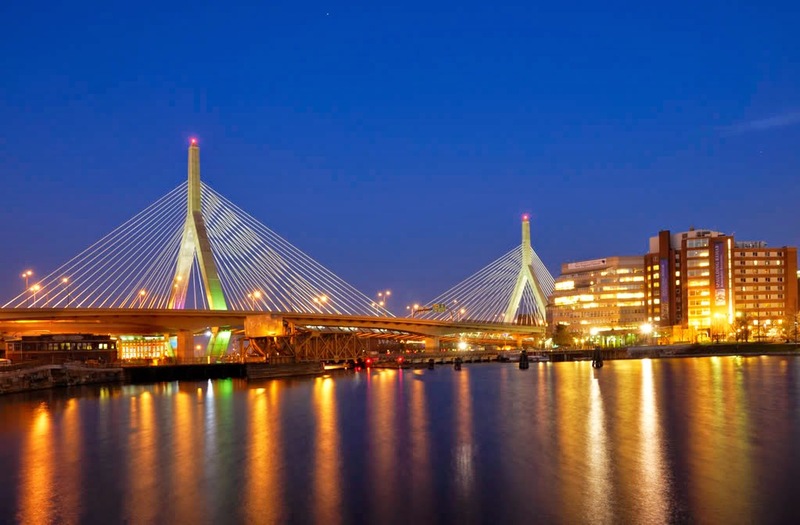 The Leonard P. Zakim Bunker Hill Memorial Bridge is a modern wonder that spans over the Charles River. As part of the Big Dig project, it opened to the public in 2003, even though it was finished in 2002. This cable stayed bridge is the broadest in the world, holding an incredible ten lanes. While cable stayed bridges are common in Europe, they are a new concept in North America. The Travel Channel named the Zakim Bridge 9th on their list of the “World’s Top Ten Bridges”, and it is a must see when you travel to the city! Why stop marveling at beautiful design and architecture after you have seen these sites? The Clarendon Square Inn is immaculately decorated to hold a modern yet luxurious feel. Come check in, and enjoy the gorgeous brick work of the South End, as well as the comfort provided by the Clarendon Square Inn!